Since 1985, Rotary has contributed nearly £1 billion and countless volunteer hours to the protection of more than two billion children in 122 countries. The disease remains endemic in three countries -- Afghanistan, Nigeria, and Pakistan -- although other countries remain at risk for imported cases. A highly infectious disease, polio causes paralysis and is sometimes fatal. As there is no cure, the best protection is prevention. For as little as 46p worth of vaccine, a child can be protected against this crippling disease for life. After the successful engagement of over 200 countries and 20 million volunteers, polio could be the first human disease of the 21st century to be eradicated. This year, our members marked the day by planting 500 crocus bulbs at the Sebastian's Action Trust's Crowthorne facility, Woodlands. Their back-breaking work is expected to create a spectacular purple floral display in the Spring. 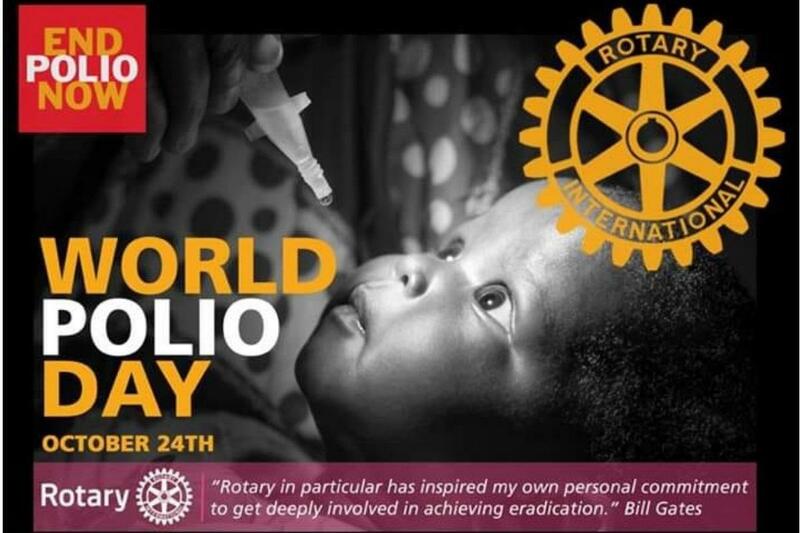 The crocus is the central symbol of Rotary’s worldwide campaign to eradicate polio, with the purple flower representing the dye used to mark the finger of a child who has been immunised against the disease.